Have you ever wondered what life is like for insects? 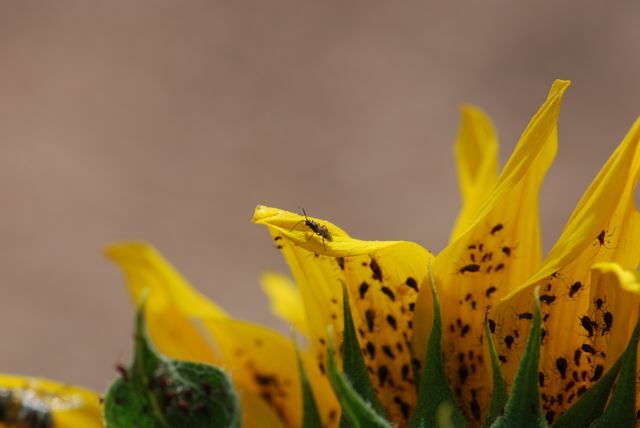 For example, take these aphids feeding on a sunflower stem. Look at how spiky the stem looks from a closer perspective. Must make getting lunch a bit more challenging, don't you think? 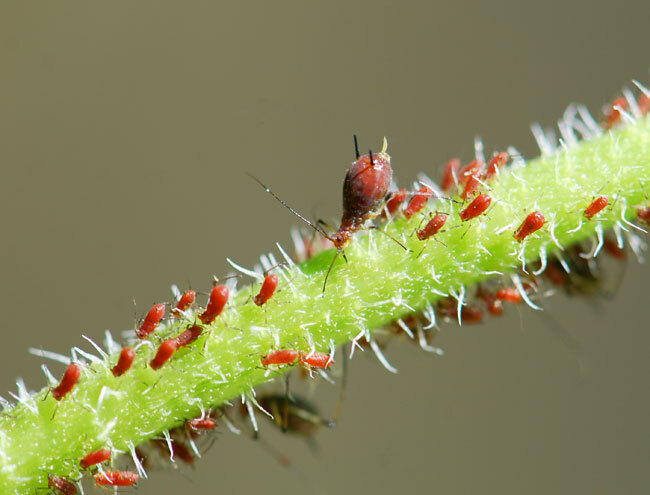 We usually consider aphids to be fairly sedentary. They put their straw-like mouthparts into the plant and stand sucking the juices. Do they ever get uncomfortable? Too hot? Too full? Just as I was pondering this, the biggest aphid pulled out her mouthparts and walked away, leaving the tiny nymphs behind. Apparently aphids aren't so sedentary after all. 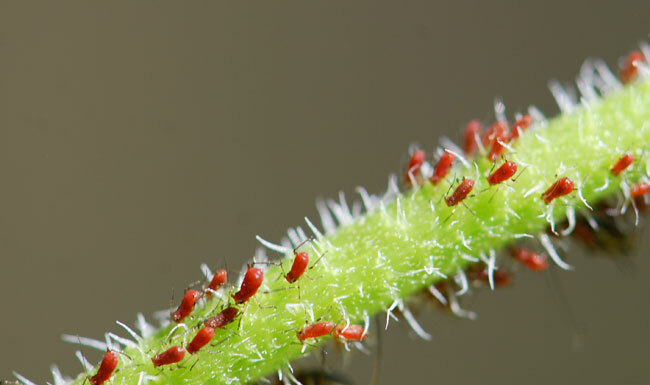 Aphids make most gardeners cringe, but if you look deeply, they are actually quite fascinating. 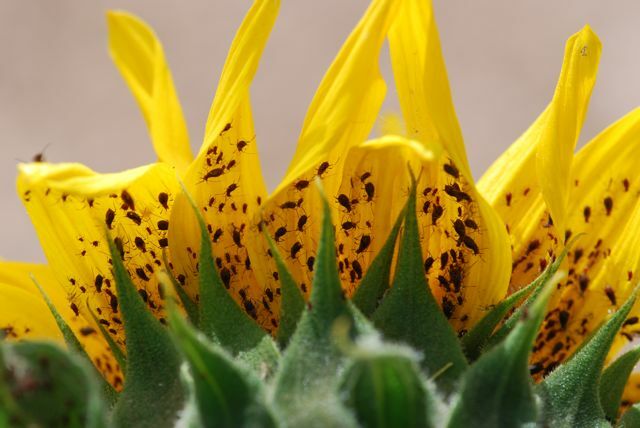 Take these aphids on a sunflower. You might not be able to see it in this lower resolution version, but I found an aphid giving birth, an aphid with a baby on its back and a winged aphid in this photograph. Do you see the tiny wasp? She is laying her eggs in aphids, which will cause the aphids to turn into mummies. In this view you can see some of them have their mouthparts stuck into the plant. What's that silvery thing? Although many people mistake theses insects for honey bees, this one is actually a fly. 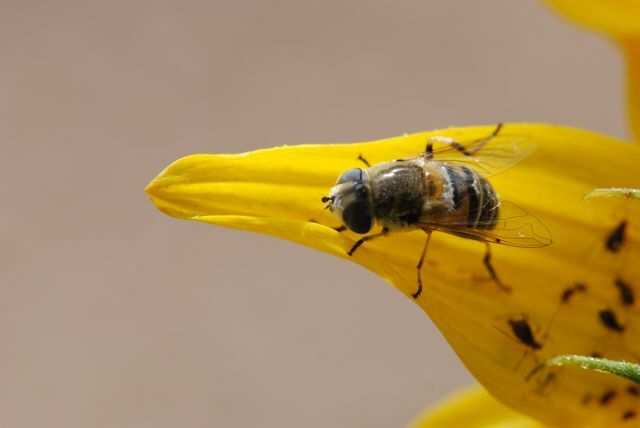 In fact it is a flower or hover fly, genus Eristalis. Why is it here? The adult fly may have been feeding on nectar and pollen from the flower or it may have been drinking honeydew left behind by the aphids. It also may have been up to no good as far as the aphids are concerned, because it may have been laying eggs nearby. 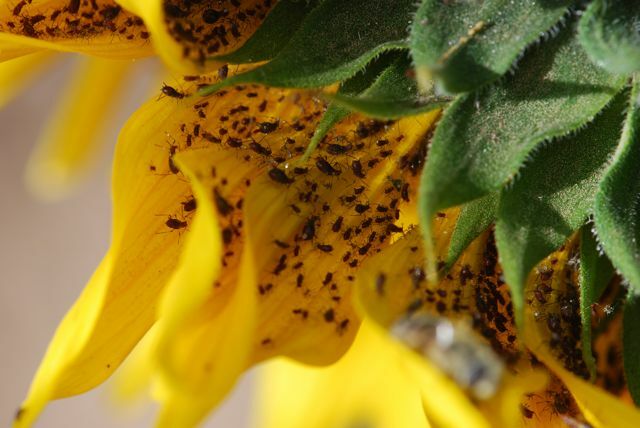 The larvae of many types of flower flies are predators of aphids. So many little dramas right under our noses.